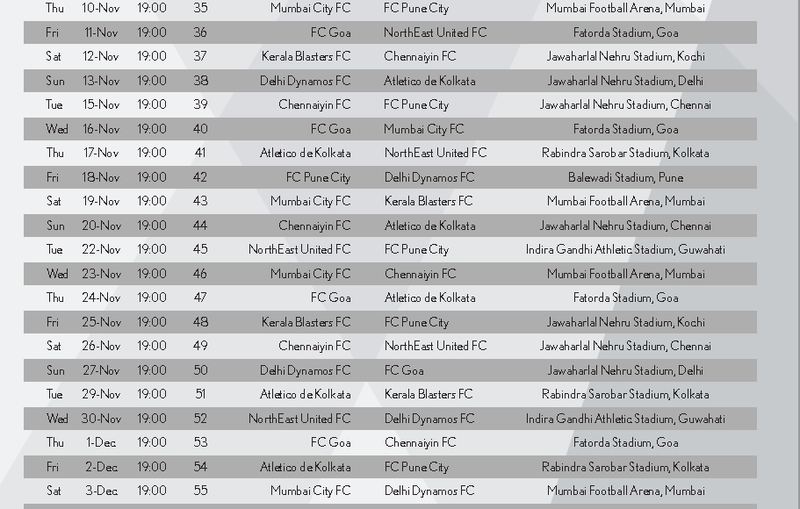 Mumbai City FC and ATK to have new home grounds for this season.. 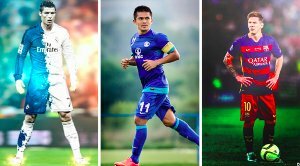 Hero Indian Super League, the unrivalled competition that emerged as the third best attended football league globally in its second season, is once again set to capture India and world’s attention starting Saturday, October 1, 2016. 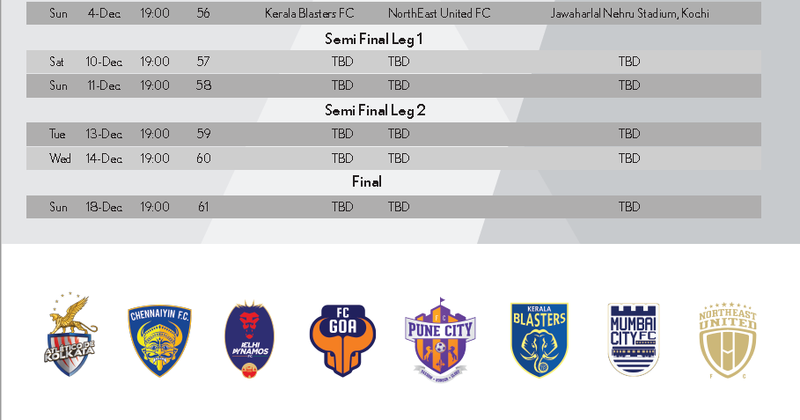 The promoters, Football Sports Development Ltd. today announced Hero ISL 2016 fixtures, featuring 61 games spread across 79 days played in a home-away league format followed by two-legged semi-finals and the final. The ‘Super Sunday’ final is scheduled on December 18, 2016. Venue for the finals will be announced at a later date. All the matches will kick off at 1900 hrs (IST). 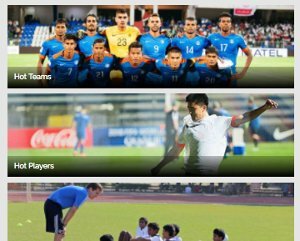 Also click here to see pictures of Mumbai Football Arena. With ISL focus on the region, John Abraham owned club NorthEast United FC would hope it aspire his boys to get a jump start to their campaign when they take on Sachin Tendulkar owned Kerala Blasters FC. Coincidently, 2016 would turn out to be the third consecutive opening clash rivalry between John Vs Sachin in a row, NorthEast United having won 1-0 on 4th October 2014 at home and losing 1-3 on 6th Oct 2015 at Kochi ground. 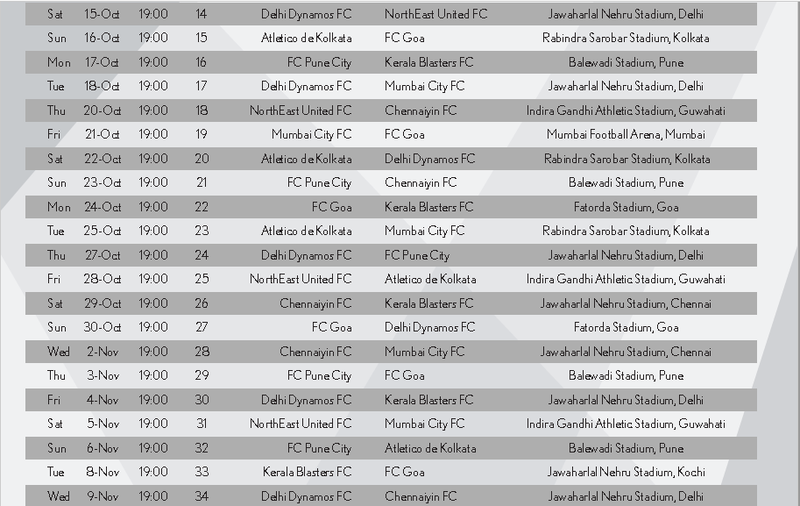 NorthEast United’s Home match fixture (Indira Gandhi Stadium, Guwahati): 1st Oct. vs Kerala Blasters FC; 4th Oct: vs. FC Goa; 20th Oct vs Chennaiyin FC; 28th Oct. vs Atletico de Kolkata; 5th Nov vs Mumbai City FC; 22nd Nov vs FC Pune City and 30th Nov vs Delhi Dynamos FC. Atletico de Kolkata’s Home Match Fixture (Rabindra Sarobar Stadium) : 2nd Oct. vs Chennaiyin FC; 16th Oct. vs FC Goa; 22nd Oct. vs Delhi Dynamos FC; 25th Oct. vs Mumbai City FC; 17th Nov vs NorthEast United FC; 29th Nov. vs Kerala Blasters FC; 2nd Dec. vs FC Pune City. Mumbai City FC’s Home Fixtures (Mumbai Football Arena, Andheri Sports Complex) : 7th Oct vs NorthEast United; 11th Oct vs Atletico de Kolkata; 21st Oct vs Fc Goa; 10th Nov vs FC Pune City; 19th Nov vs Kerala Blasters FC; 23rd Nov vs Chennaiyin FC; 3rd Dec vs Delhi Dynamos FC. 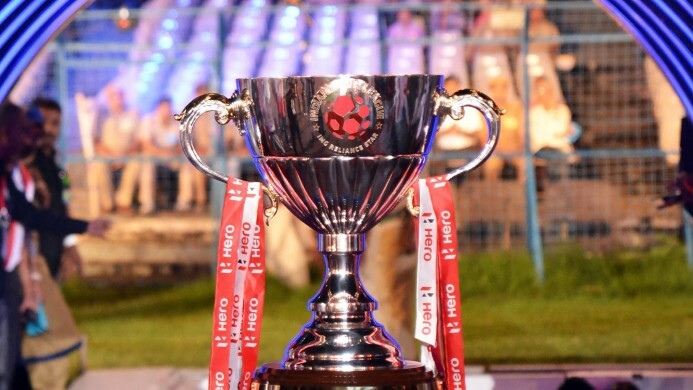 Defending Champions would come home to play to its capacity crowd for the first time since lifting the ISL 2015 trophy with a match scheduled on 6th October against Delhi Dynamos. However, the bigger match everyone would await with beaten breath could be on 13th October when the Super Machas will have a face-off with FC Goa at Marina Arena. Chennaiyin FC Home Fixtures (Marina Arena) : 6th Oct vs Delhi Dynamos FC; 13th Oct vs FC Goa; 29th Oct vs Kerala Blasters FC; 2nd Nov vs Mumbai City FC; 15th Nov vs FC Pune City; 20th Nov vs Atletico de Kolkata; 26th Nov vs NorthEast United FC. 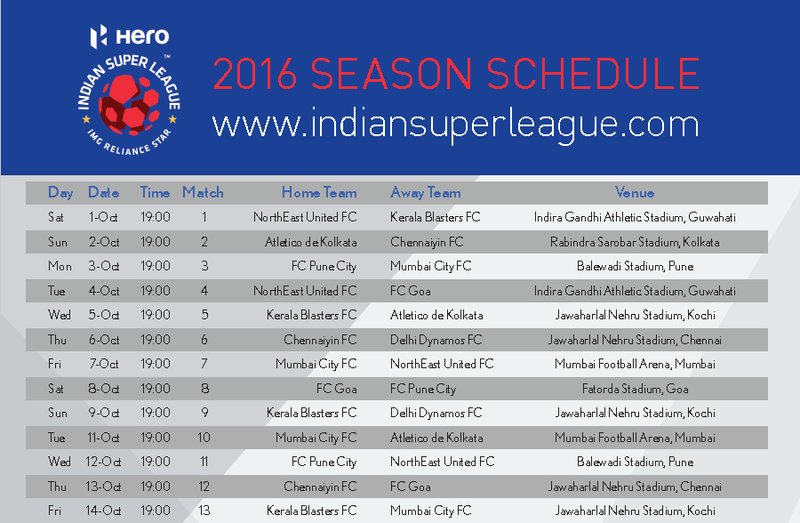 Complete fixture of the Hero ISL season 3. 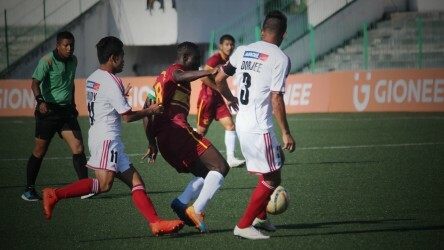 Shillong Lajong FC and Royal Wahingdoh FC share the spoils as titanic clash ends in a stalemate.